Traditional farmhouses have a certain timeless charm about them, reminding us of a simple, quiet country lifestyle that revolves around nature and the surrounding bucolic landscape. 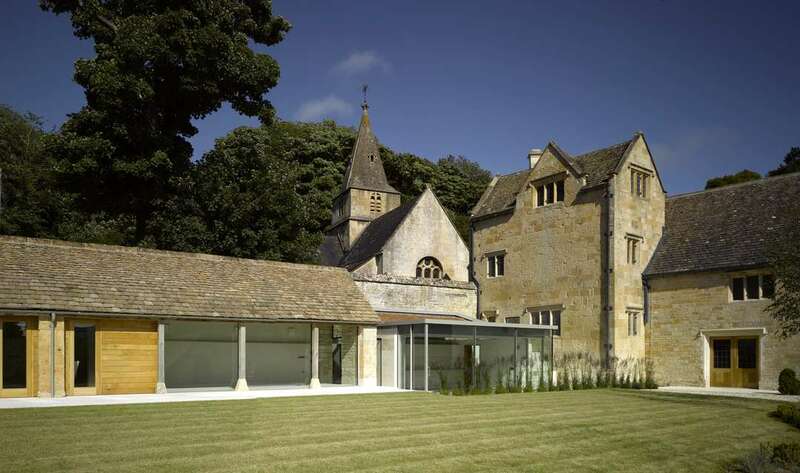 From the old pastoral estates of the English countryside to the hills of New Zealand, architects continue to develop and reinterpret the farmhouse archetype. Some expand on existing structures, adding new extensions that blend in with — or loudly contrast — older rural homes. 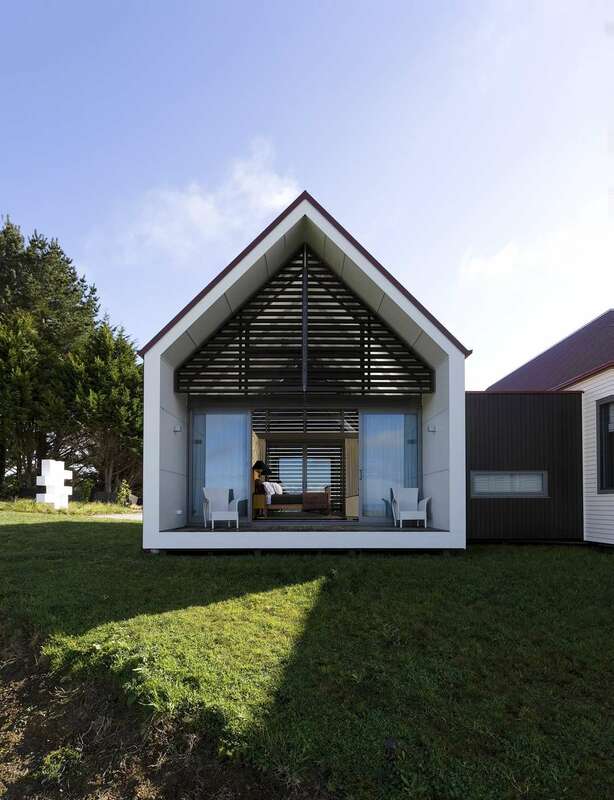 Newer farmhouses often pull from the traditional vernacular while satisfying a taste for more modern designs. Large porches and open views, pointed roofs, and designated space for animals are found in even the most progressive farmhouse designs. 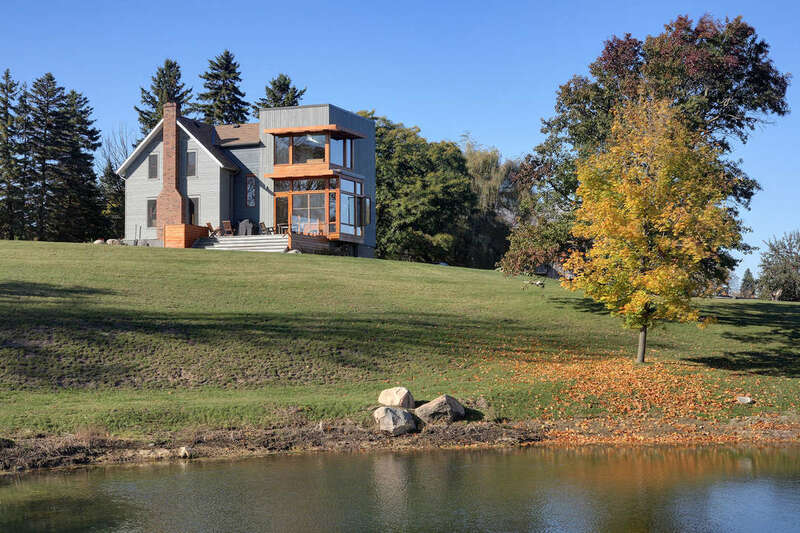 Sitting on the edge of a creek and waterfall, this 1820 manor home has received a modern upgrade. 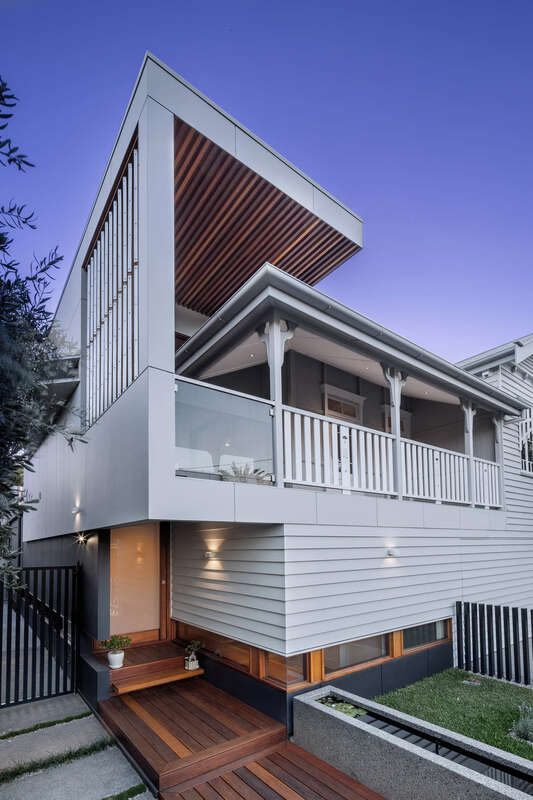 The cantilevered porch adds space to the home and an immersive waterfront view. 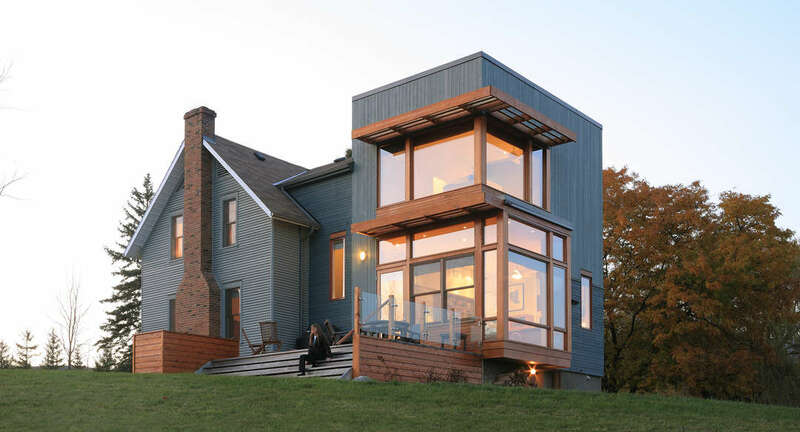 The curtain wall of skyscraper glass adds a contemporary edge to the traditional farmhouse archetype. 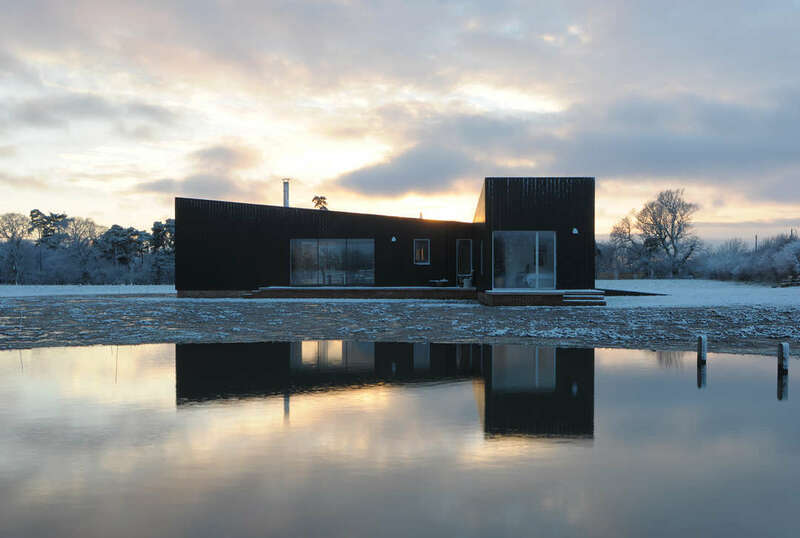 Like the Floating Farmhouse, this Dutch rural home is a study in contrasts between modern aesthetics and the traditional farmhouse. Set in an idyllic apple orchard, this updated farmhouse is made up of two distinct parts in conversation with one another. The new extension’s large windows and loft-like open living plan give residents a wide view of the surrounding landscape, a far cry from the old house’s tiny peepholes. The newly added two-story glass tower reveals a wide view of the surrounding Canadian countryside. 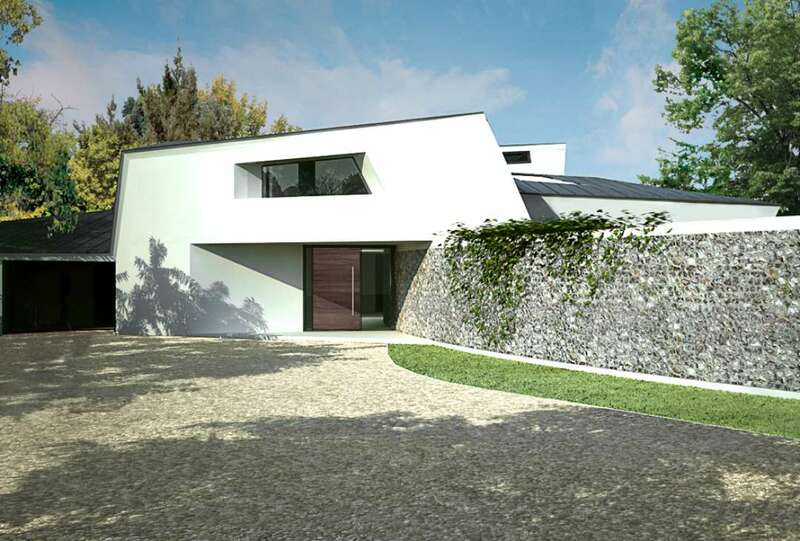 The façade material is an extension of the original house, blending the two structures together. 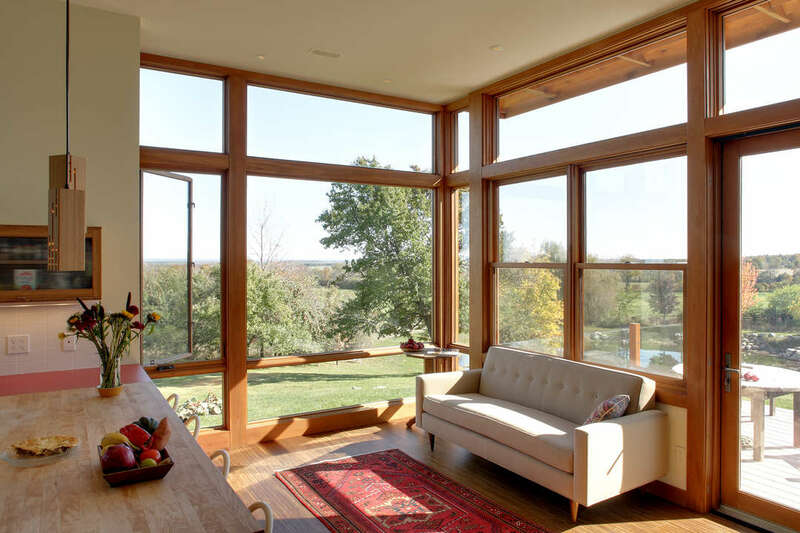 A large porch and floor-to-ceiling windows give the occupants plenty of opportunity to enjoy views of the rural landscape and nearby pond. Drastically different from the typical English farmhouse, the architects behind this rural home definitely achieved the intended wow-factor. Inspired by the White Cliffs of Dover, this farmhouse design takes a cue from the geology of the local landscape, with large windows providing open views of the stunning surrounding greenery. 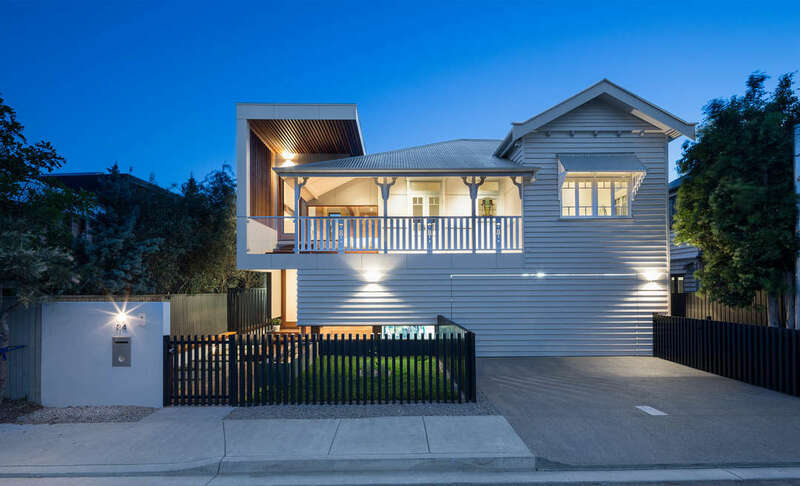 This Australian farmhouse successfully integrates the old and the new. 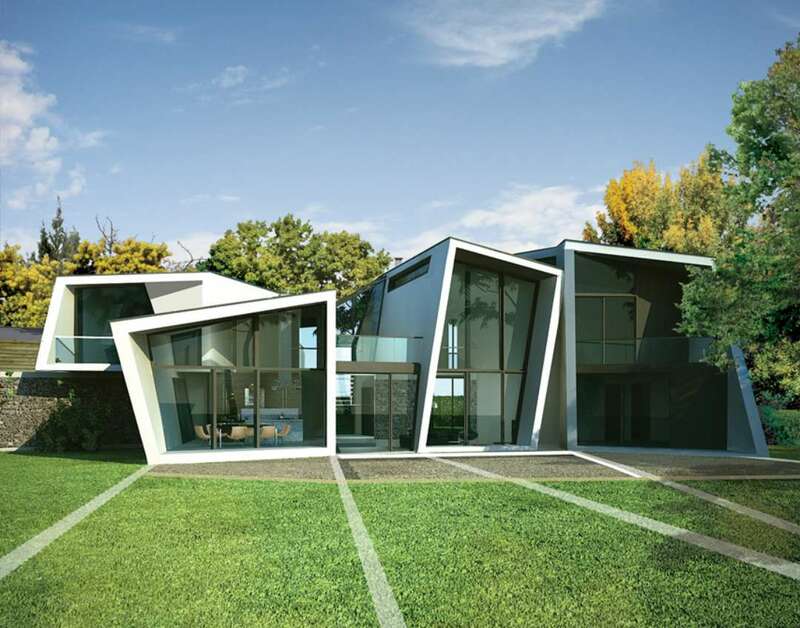 The modern addition envelops the older design, creating a kind of harmony between the two styles. 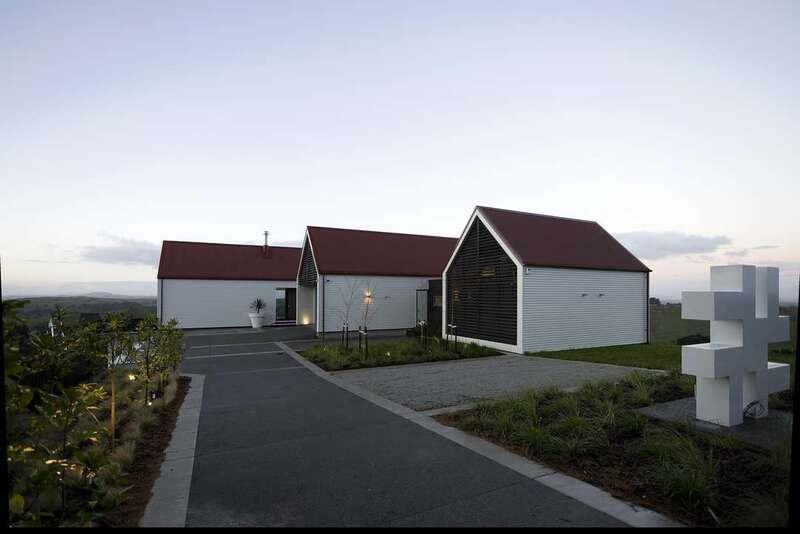 Situated in the hills of New Zealand, this rural retreat is the perfect escape from busy city life. The design evokes the local architectural vernacular in establishing three distinct pavilions, each with its own function. One houses the family’s sleeping quarters, another includes living rooms and communal spaces, and the third is for guests. 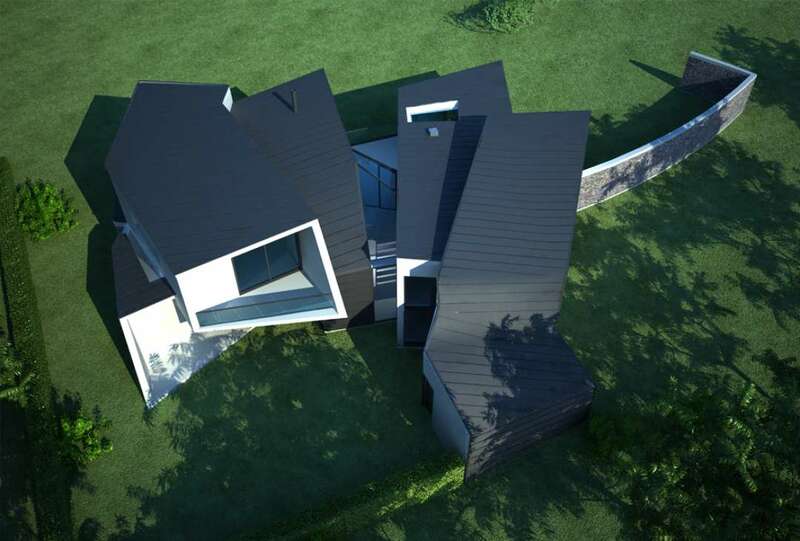 Sitting on a pig farm in England’s Suffolk Coast, this modern home has three wings that protrude into the landscape. 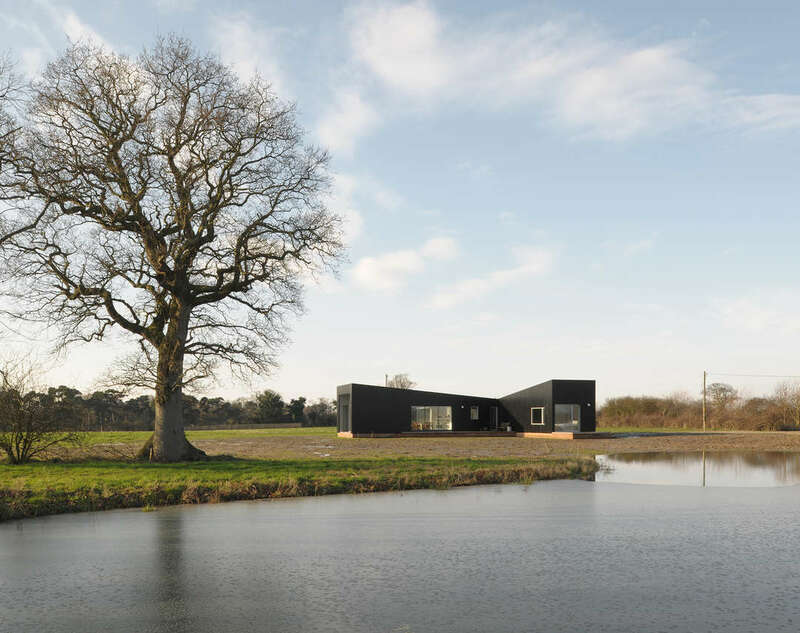 A stained black façade, polished concrete floors, and an unconventional roof silhouette give this farmhouse a contemporary edge. This 16th-century country house estate, after many years of neglect, has received a major 21st-century update. 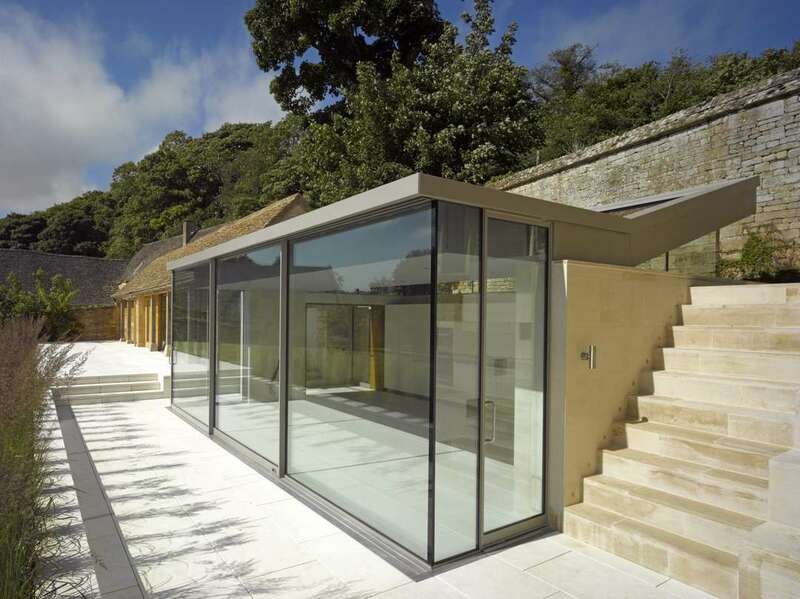 A glass pavilion links together two parts of the estate, and adds an additional kitchen to the home. 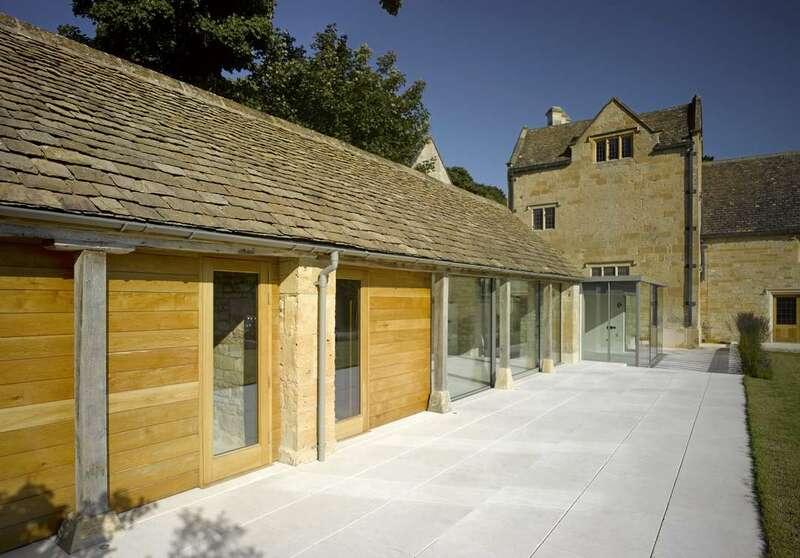 The original exposed stonework has been restored, its rural aesthetic mirrored in the pavilion’s timber facade.